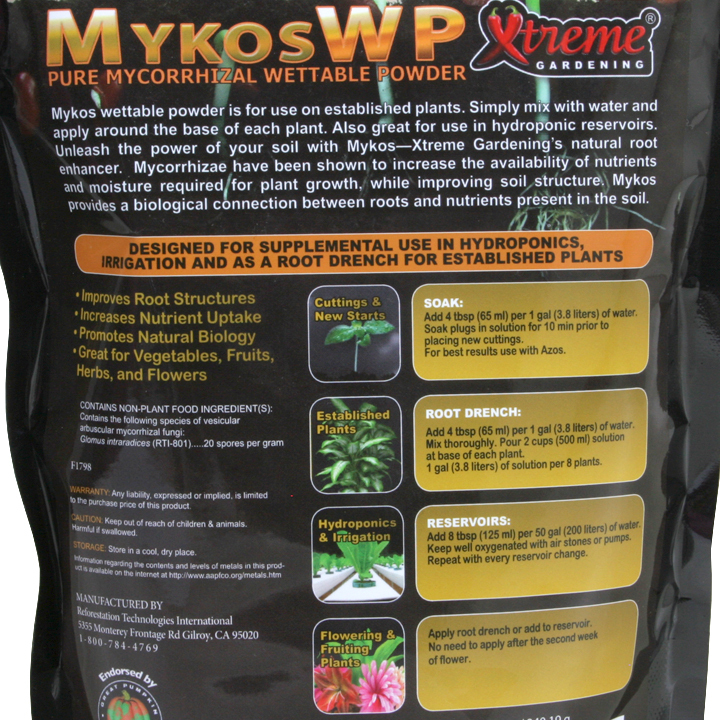 MykosWP can be mixed with water for injection or hydroponic systems, or can be used as a seed coating. 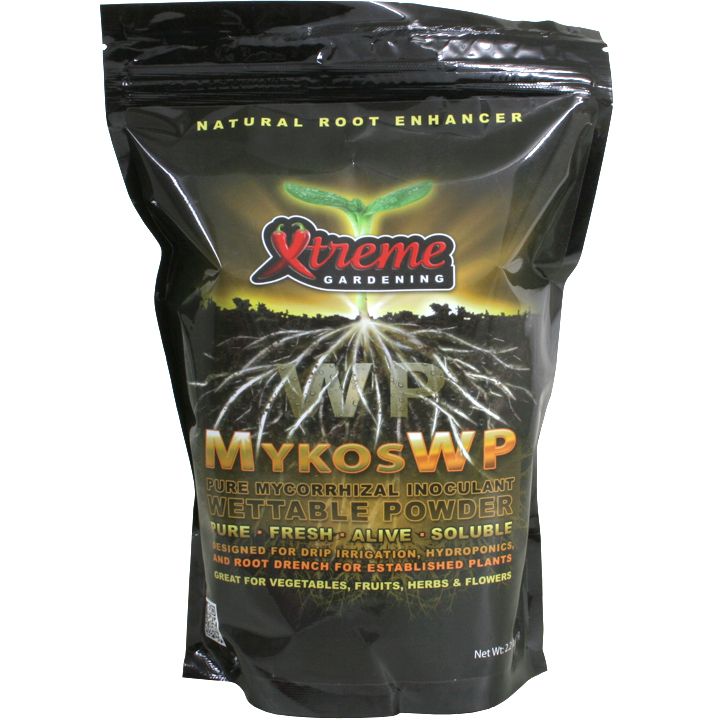 Mykos – Pure, Fresh & Alive: A beneficial organism, Mycorrhiza, plural Mycorrhizae live on the roots of plants and form a symbiotic relationship. They extend microscopic straw-like filaments called “hyphae” into the soil where they extract, transport, and dramatically increase a host plant’s supply of nutrients and moisture. Pockets of nutrients and water in the soil which were once unreachable by standard root systems are now made accessible through the “super-mining” effects which mycorrhiza gifts to your plants. Mycorrhizal fungi are ancient in origin and the benefits are boundless. Pound for pound mycorrhiza provides plants with the greatest possible benefit for the smallest amount of input. 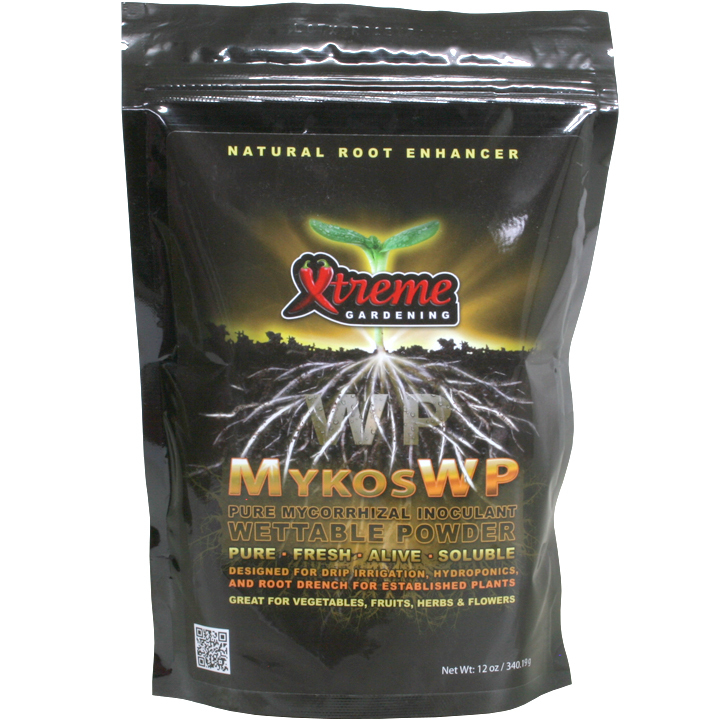 With a single inoculation, mycorrhiza is capable of transforming the ordinary garden into something Xtreme! Q: Do they make it water soluble? 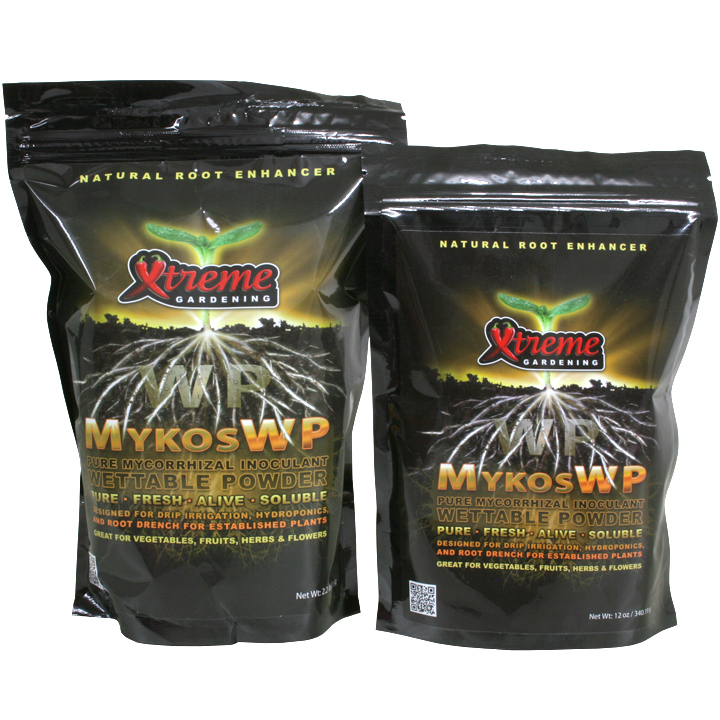 Q: Can I mix Mykos WP with Azos and Xtreme Tea? Using a small stake or fork, poke several 1/4 - 1/2" holes in the bottom of the plant hole. Add 1 - 2tsp to hole, directly under plant roots. Set plant remember to water.